Rise of Kingdoms may look like a simple game initially, but it takes its roots from the Civilization series and offers more complex mechanics as the game progresses. Some casual players might not even notice some of the advanced features that are essential to play the game much more efficiently and make your nation grow faster. 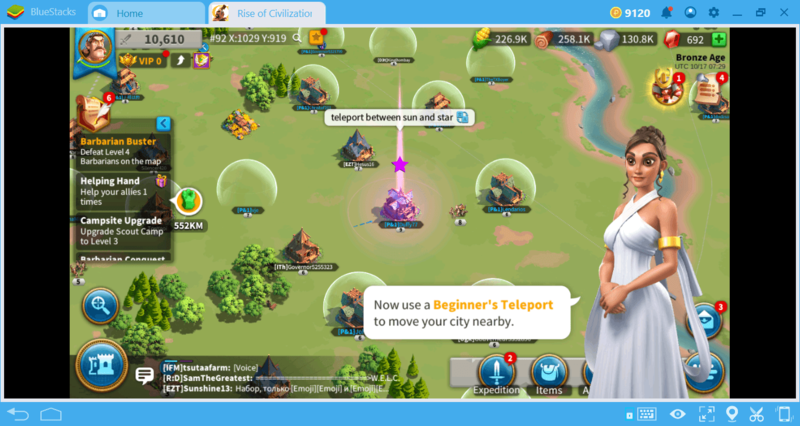 In this guide, we’ll talk about all such advanced features and explain other important things you need to know about Rise of Kingdoms, with the help of questions and answers. 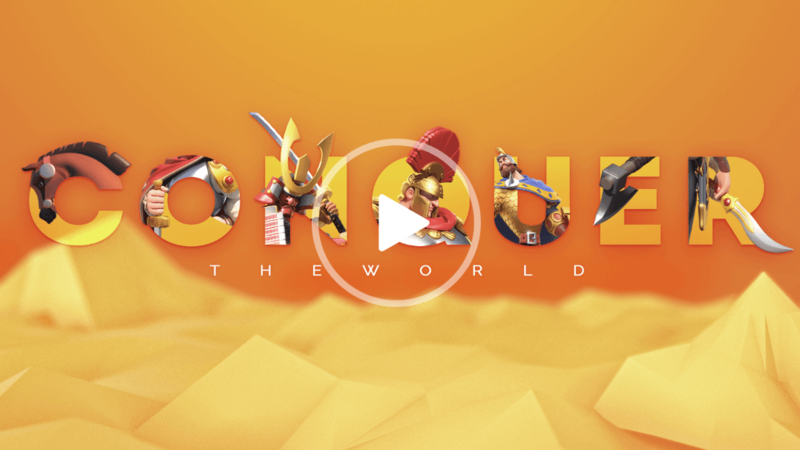 This list is based on questions we receive from our readers from time to time and we decided to publish them here for the benefit of the larger Rise of Kingdoms fanbase. Q: How Can I Get Free Gems? A: At the beginning of the game, you will get free gems for completing simple tasks. Don’t think that this will continue happening all the time: After your city has reached level 10, the number of free gems you get will be very few. But no matter what level you are, there is a way to earn 100 free gems every day: Complete your daily quests. 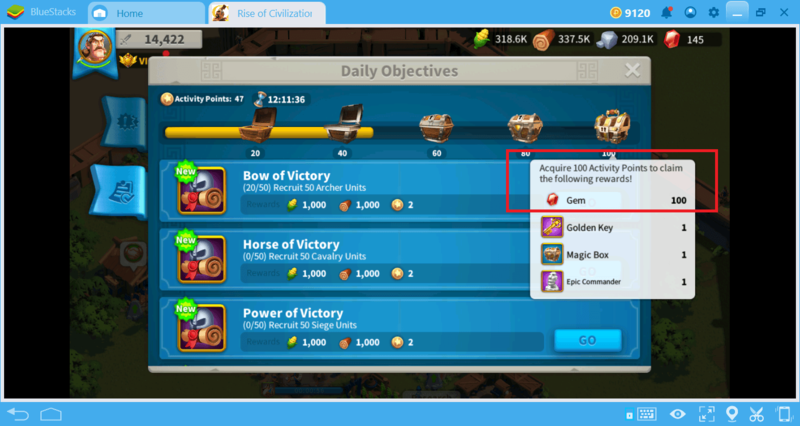 Rise of Kingdoms gives you many tasks you need to complete each day and the option to collect activity points as you do them. If you complete all the tasks within a day, you will receive 100 activity points and this gives you the right to open a rare loot chest. This chest always awards 100 free gems, in addition to other useful and important resources. It will be compelling to complete all tasks every day, but if you want to earn free gems continuously for free, this is the best way to do it. Q: What Is The Best Way To Spend Gems? A: Gems are the most important resource in the game. They are sold for real money and free players can only have a limited amount of them. Gems can be used for many different things. You can use them as a time-saver or to upgrade every building in the game or to complete each research instantly. Although this is an attractive thing to do, it is not the best way to use them. 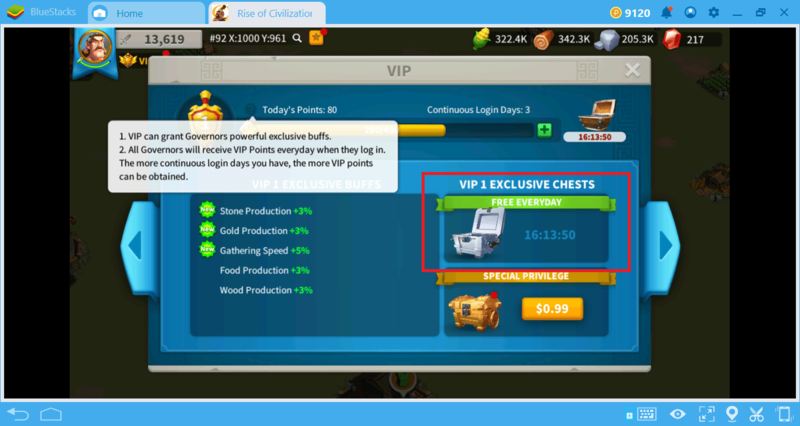 Rise of Kingdoms has a “VIP” system. You can earn a limited amount of VIP points by logging into the game every day. These points are used to increase your VIP level. There are a total of 15 VIP levels and the advantages you get at each level keep increasing. At the last level, the speed of almost everything is increased by 20% – 30%. However, the amount of VIP points you will collect by only logging to the game will be very few. Instead, you can buy them using the gems you get for free. We advise you to do this as soon as you start the game and at least increase to VIP 1 level. Then, continue to purchase VIP points using your gems. 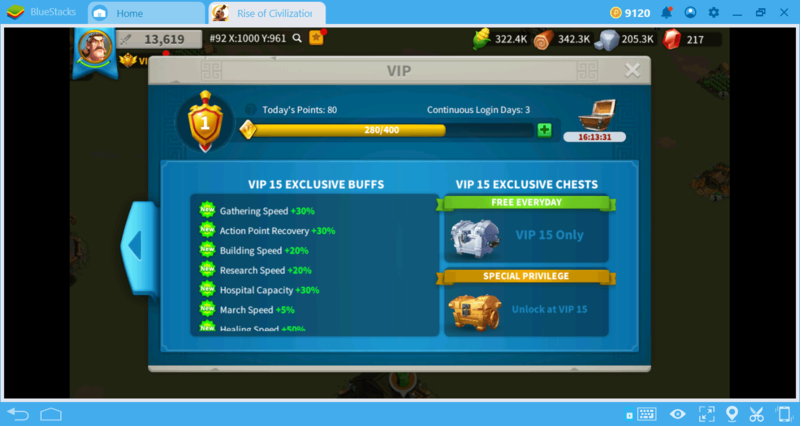 It will take a long time for a free player to reach the VIP 15 level using this method, but you can be sure that it is worth the effort. Q: How Can I Move My City? A: You can move your city anywhere in a particular kingdom. To do this, you need to use an item called “teleport scroll”. At the beginning of the game, you get two scrolls for free. When you join an alliance, you are offered to move your city near the alliance leader for free. The shortcut required to use this feature is quite small and it’s pretty hard to notice. You need to click the arrow button next to your profile picture. 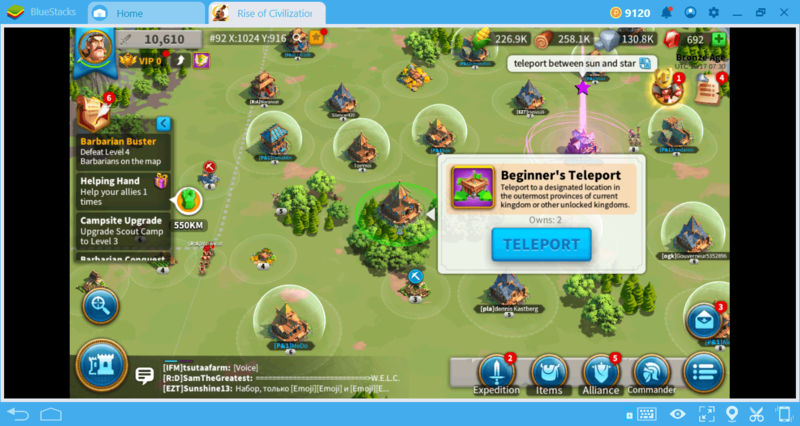 Select the teleport option from the drop-down menu and the world map will open. You can move your city by clicking on any empty area on the map. If your free teleport scrolls run out, you can buy new ones. Here is another useful clue: In each kingdom, you can create two governors/cities and control both at the same time. 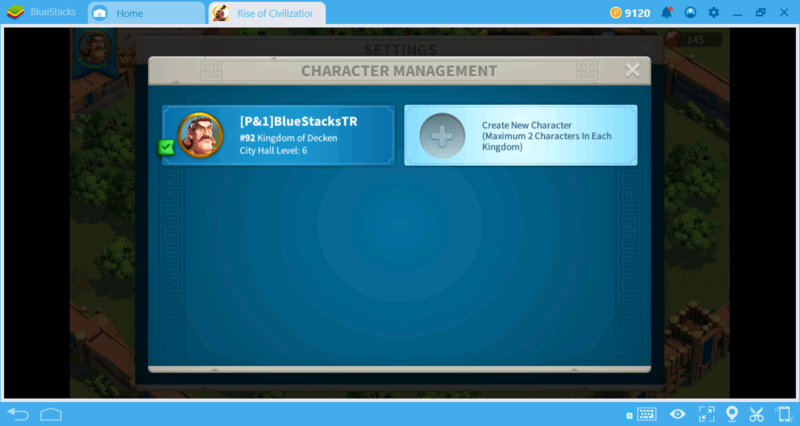 To do this, click on your profile picture, select “Character Management” and click on “create new character”. 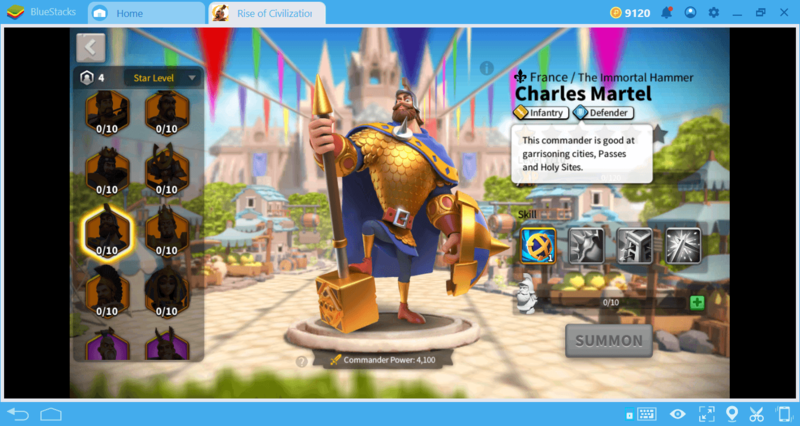 You can further improve this system by using the multi-instance feature of BlueStacks: You can have 4 cities in a single kingdom, even by creating a single instance. If you increase the number of instances, this number will increase exponentially. In this way, it is even possible to set up your own special alliance! Q: What Are The Most Important Buildings? A: There are countless buildings that you can build and their importance will vary according to your game style. However, we recommend that you build two specific buildings and pay attention to them throughout the game. The first of these is the “Trading Post”. The importance of this building is that it allows you to exchange resources. After you become an alliance member, you can send resources to and receive resources from other members. This feature is especially useful when you need emergency resources in a difficult time. However, in order to benefit from this feature, the Trading Post building must be built in your city. 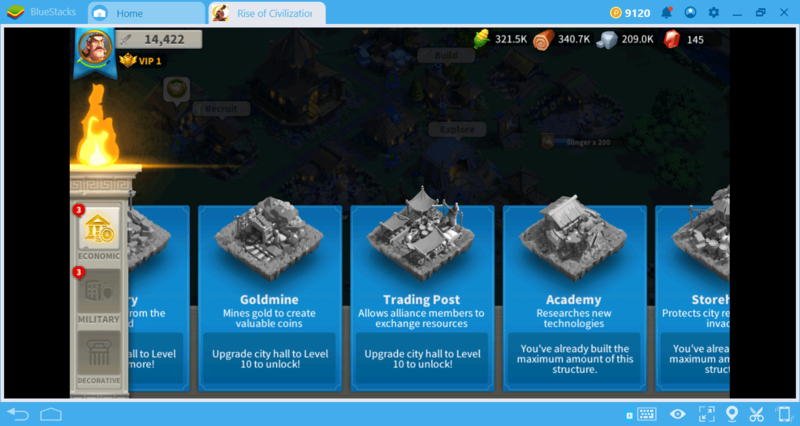 Therefore, when you upgrade the City Hall to level 10, don’t forget to build a Trading Post. The ”Storehouse” is the second most important building. Actually, you will build this one at the beginning of the game, but you forget it in a very short time. Because it has almost no use during the early-game stage. However, this building is of great importance in terms of resource management. Especially at the beginning of the game, you will get lots of resources. But if you forget to upgrade the Storehouse, you will not be able to use these resources – they will be wasted. Therefore, be sure to upgrade the Storehouse building regularly. 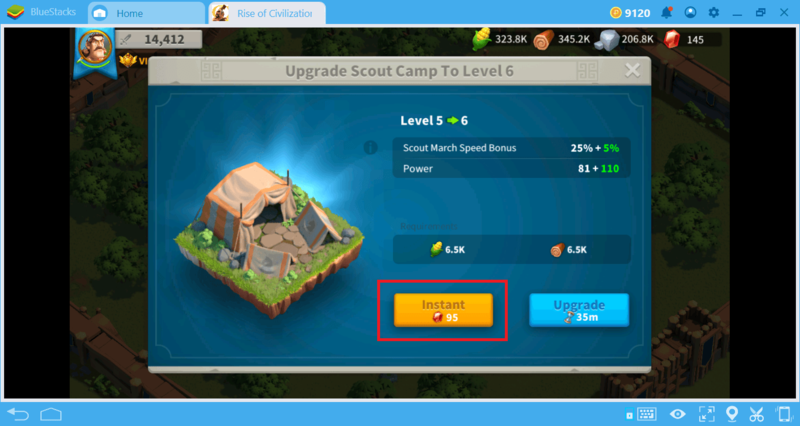 Each building in Rise of Kingdoms can be upgraded to level 25. A fully upgraded Storehouse can store 2,500,000 units from each source. Q: How Can I Protect My City? A: At the beginning of the game, your city will be under a shield to prevent attacks, but this shield will soon disappear. You can buy new shields, but they can cost a lot. In any case, your city will be unprotected sooner or later. Any player can steal all your resources by attacking your city. (Of course, you can do the same.) There are some things you can do to protect your city against such attacks. Always keep a commander with the “Defender” specialty in your city. Of course, a commander alone won’t do anything, so make sure there is always a military force inside your city too. In other words, do not send all your troops outside to fight or collect resources: Always garrison some of them inside the city. Defender specialty commanders will make them stronger with the buffs they have and will defend against many low-level attacks successfully. Make sure your wall is always at the highest level. The wall is one of the most frequently forgotten buildings. However, as long as your walls are intact, your city will stay safe from all kinds of attacks. Therefore, make sure that the wall is not damaged and always upgraded to the highest possible level. 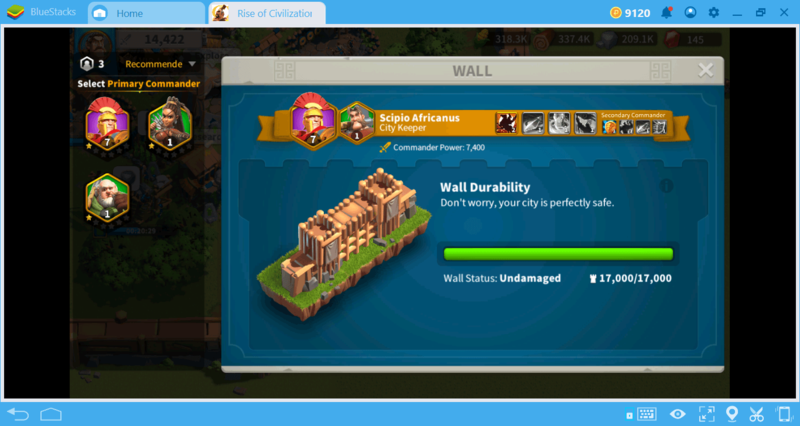 You can also garrison a commander in your city through the wall screen. Pay attention to your storehouse. 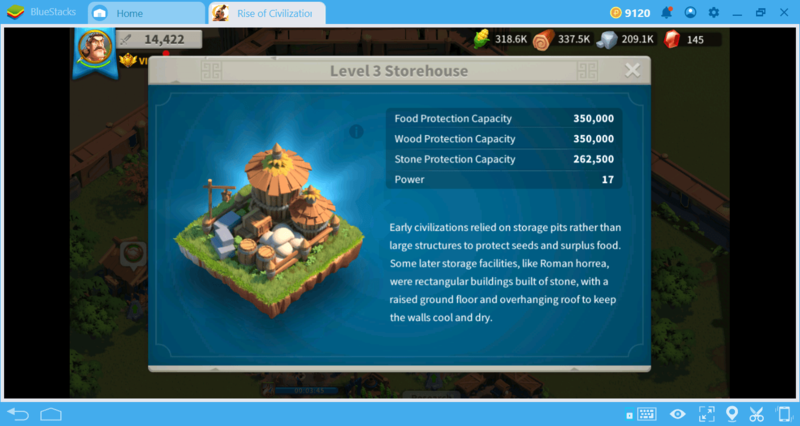 The Storehouse building has another feature: If everything goes wrong and your city is invaded, enemies will burn all your resources. But the resources stored in the Storehouse are still yours – enemies cannot destroy them. These resources give you a new opportunity to start over. Therefore, make sure you have at least one Storehouse in each of your cities, more if possible. 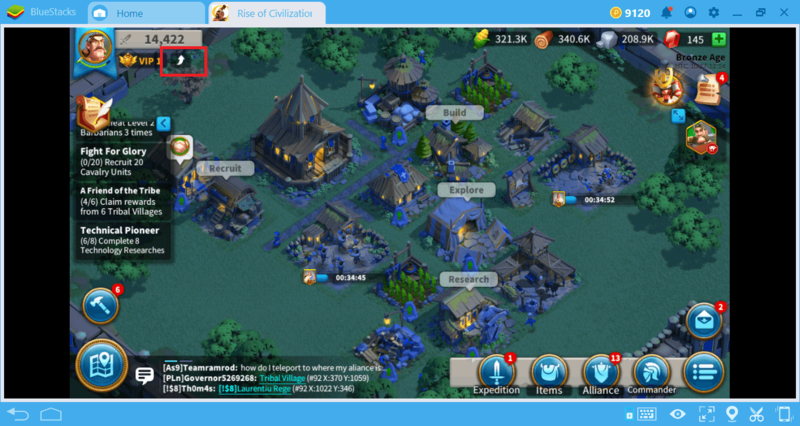 There are other specific guides we have created for Rise of Kingdoms. Rise of Kingdoms is a game that rewards players who give importance to details, and we have listed the most important details for you – we’re sure you’ll be more efficient on the battlefield now. To be the most powerful governor in the game, do not forget to read our Commander & Civilization Guides.